How to remove spark plug? Tien-I spark plug socket is the best choice. How to remove spark plug? The spark plug socket would be your best choice in the professional automotive repair tool. Spark Plug is one of necessary parts in engine cylinder. If spark plug got damage, no matter whether you drive car or motorbike, you can do nothing but waiting for towed. A quality spark plug can help you out this embarrassing situation. But how to install a high-quality spark plug? Spark plug socket definitely is the one. 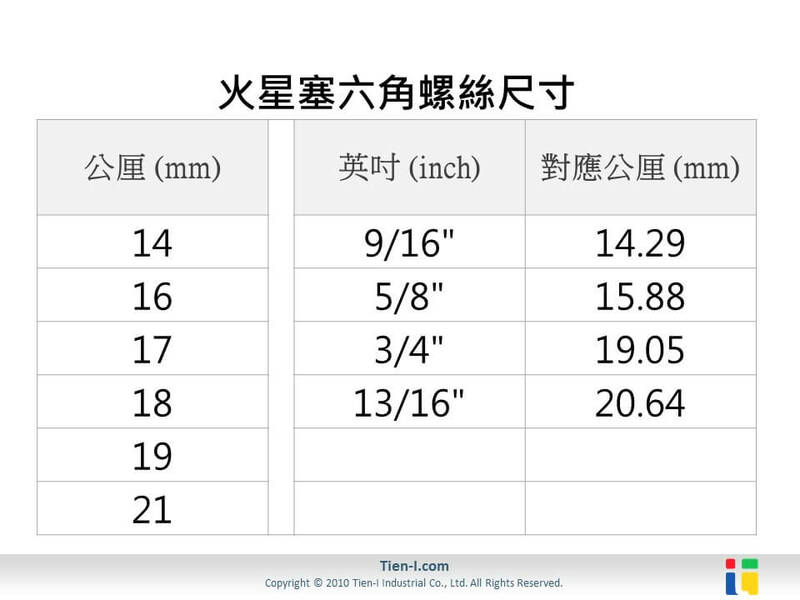 Before selecting the spark plug socket, we must have fundamental understanding of spark plug required sizes. 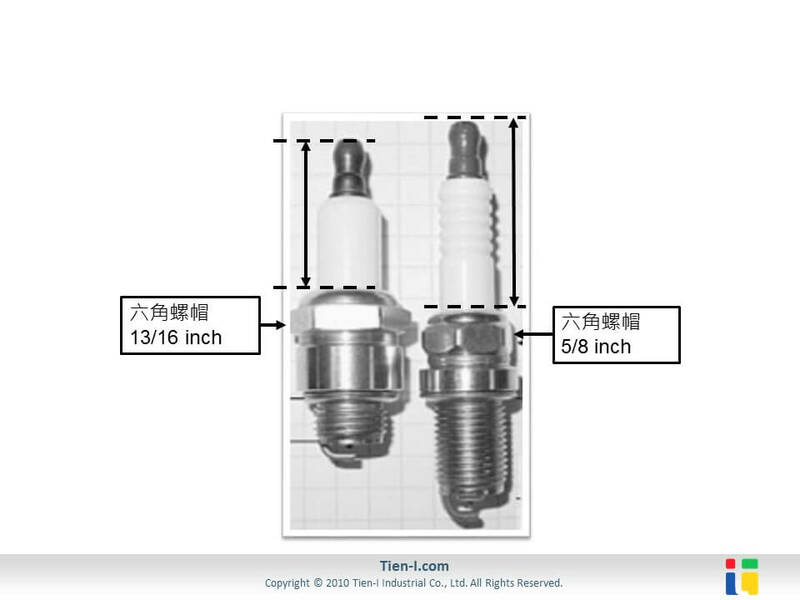 The common structure and sizes of spark plug is as below image. The Spark Plug Brands have their own standard size table. 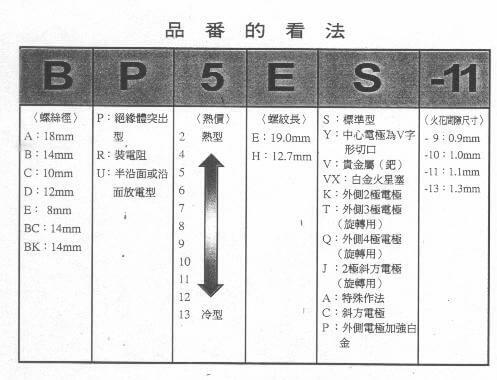 For example, the following chart show Japanese NGK spark plug, which has a column labeled the outside diameter length of hex screw. It also shows the spark gap size, which will decide how the wall thickness of your socket is. With above explanation, you can select the right spark plug socket. Here are Tien-I spark plug sockets designed for different situation. Common spark plug socket can satisfied most DIY repair. Just need to pay attention on the right hex screw and socket. Tien-I spark plug socket has rubber inside to remove the spark plug without hurting the part. However, this kind of sockets need to use extension bar to prevent the socket from falling into the cylinder in the engine. 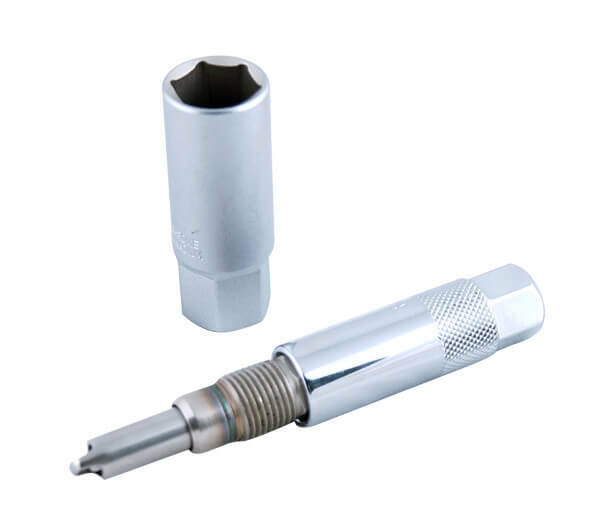 Tien-I’s deep spark plug socket is specially designed for narrow and deep cylinder. 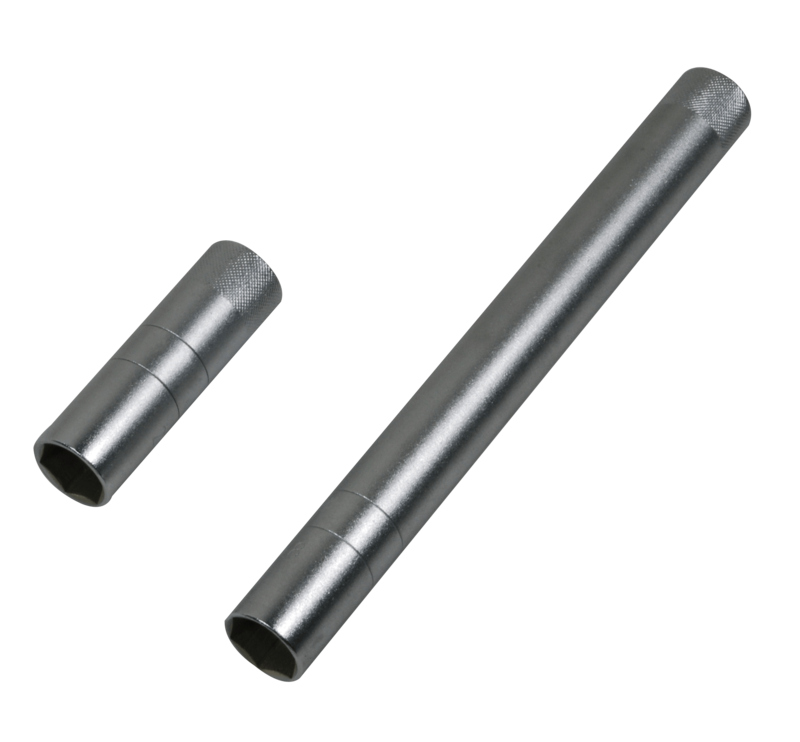 Comparing with normal one, the deep spark plug socket has very thin thickness and long body to reach the bottom of narrow deep hole. Tien-I universal joint socket is specialized at flexible angle and easy to get into complicated cylinder. 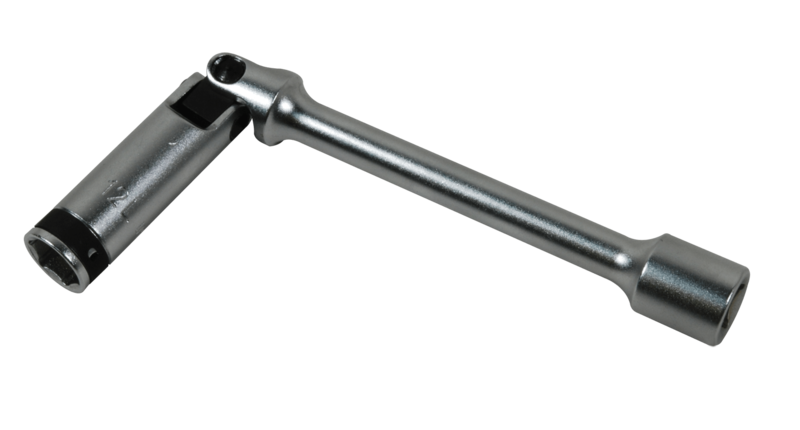 T-handle spark plug socket is the professional tool with all the advantages listed above and designed for repairing the engine. 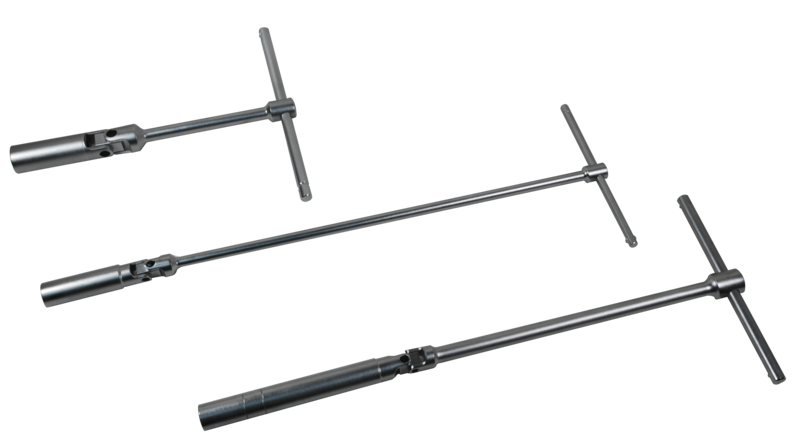 No need additional tool such as ratchet or extension bar, just one T-handle socket can meet your demand. Installing or removing the spark plug on motorbike or car have different difficulty, especially the modern complicated car engine, so only the special spark plug socket can fix the problem. We don't suggest to DIY fix your engine at home, since it's easy to get you into trouble if you didn't select the right replacement. We suggest to inquiry with professional tool shop if you are not familiar with spark plug brands. If you are interested in Tien-I spark-plug sockets, please contact with us.